How can Bidzpro be of help to B2B sellers? e-Procurement, having made the process of buying and selling of products and services simpler through electronic methods, its salient benefits have attracted sellers to a large extent. This piece of writing is an attempt to bring out the benefits that Bidzpro can provide to B2B sellers. However, the B2B procurement process isn’t as easy as it sounds because it has its own opportunities and challenges, but with Bidzpro this is not the case. Our unique online bidding platform helps business in tremendous ways, so without much ado, lets get started with the benefits. 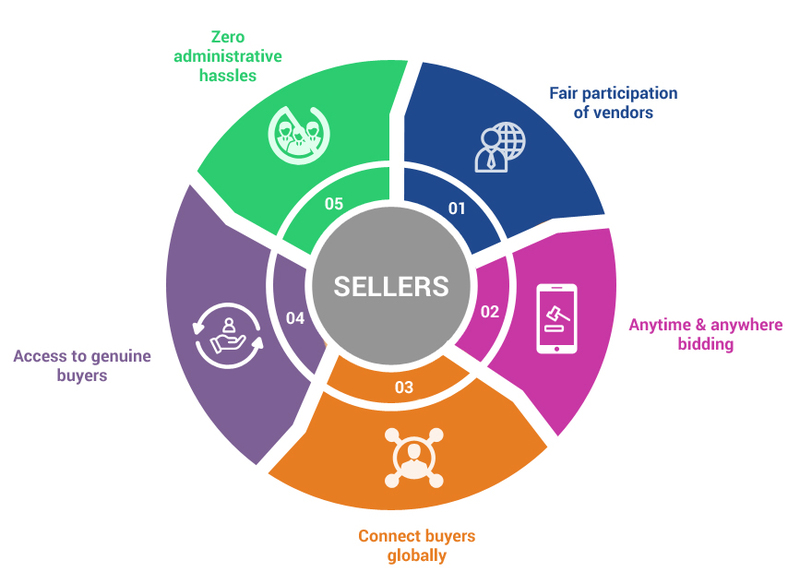 Fair participation of vendors: A fair participation of vendors is the key to success in B2B bidding, along with this we know the importance of transparency and hence work it out in such a way to offer both. This in turn empowers you with the ability to add more strategic value to your company, while still making profitable additions. Anytime and anywhere bidding: Anytime, anywhere bidding allows you to amplify the auction results, while giving you the unique ability to do your bidding at any time of the day, but within the closing date. Connect buyers globally: With Bidzpro, not only you have the benefit of connecting with a large number of buyers, but also have access to connect with buyers on a global scale. By this means, you will have the opportunity to know about a wide set of audiences and their expectation. Access to genuine buyers: The best part about participating in Bidzpro’s B2B bidding is that, you can be free from tire-kickers meaning someone who appears to be interested in buying something and asks a lot of questions but does not buy anything. We know how it feels, hence we have sourced the genuine buyers for you. Zero administrative hassles: It goes without saying, when you are about to enjoy the aforesaid benefits, it all leads to zero administrative hassles, irrespective of the business you are in.